Here's a rabbit that came from the last shooting gallery on the Boardwalk that used live ammunition. 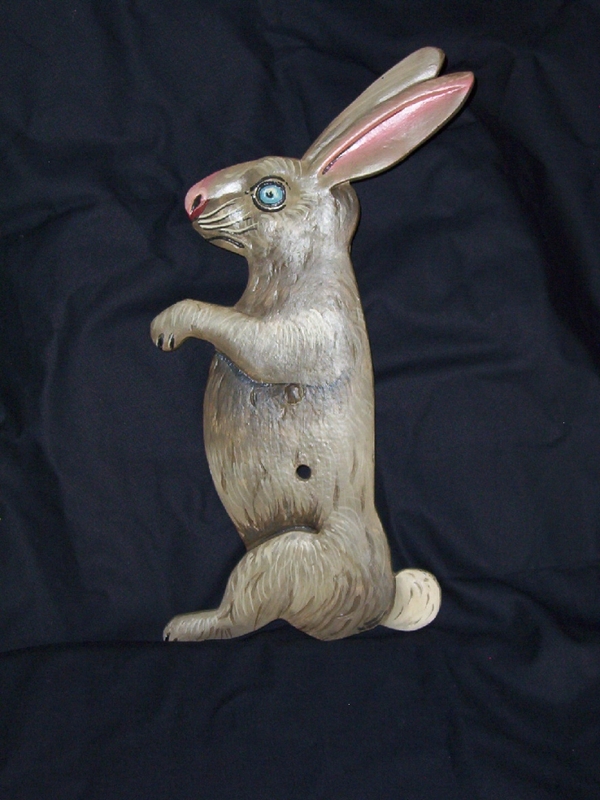 The shooting gallery was owned by Ed Whiting and when he closed it, he gave this rabbit target and another to me. The rabbit was repainted by Jim Padgett.